a collection of custom love stories to inspire your journey. This is the story of Hannah and Gabe. 2017. 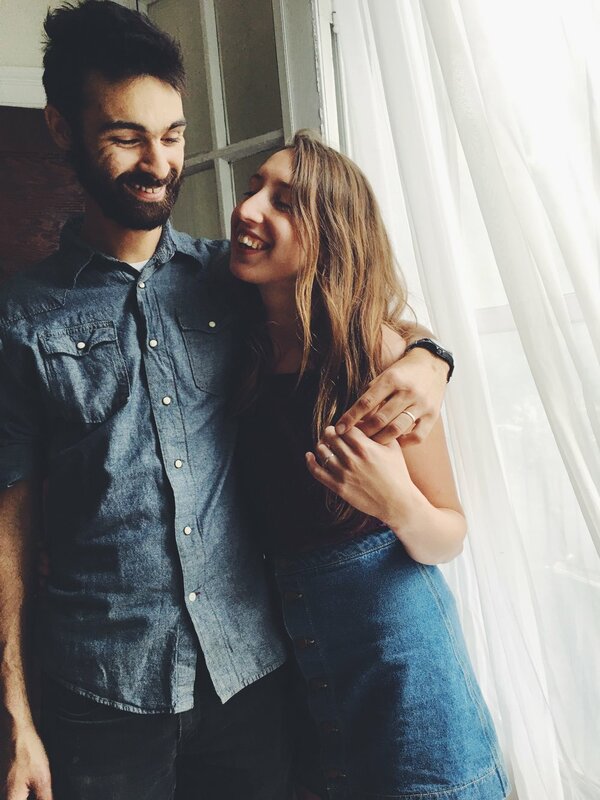 These two came to me several months ago to create an engagement ring and wedding bands. 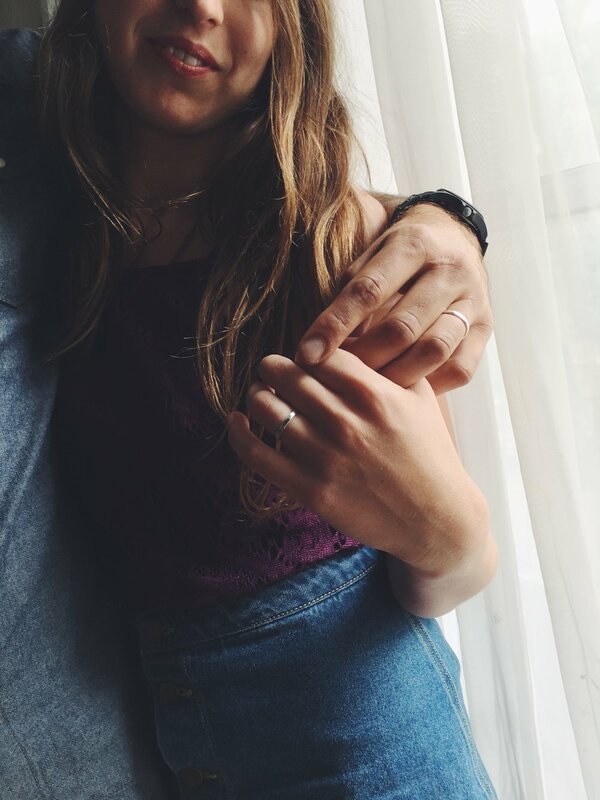 After a little searching, the two actually settled on beautiful ring they found while traveling, but needed a stone set. We chose an oval rainbow moonstone, and using their existing ring, I was able to rebuild a setting and create the one of a kind piece. And to match, a set of sterling silver wedding bands with hammer detail and hand engraved message inside. 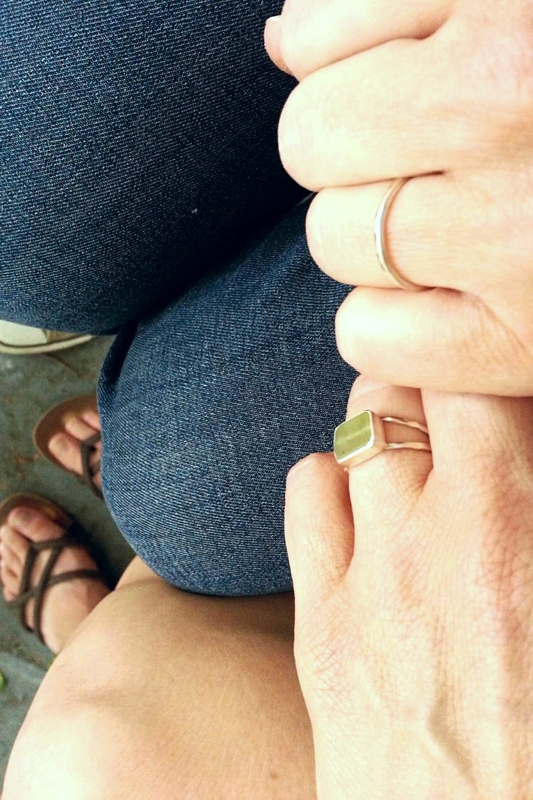 The two tied the knot in June with their custom made wedding set, cheers! Gabe: Sterling silver hammer detail wedding band. 12 gauge. Engraved detail SMH 2017. Hannah: Sterling silver oval 5x7mm Rainbow Moonstone and matching sterling silver hammer detail wedding band. Engraved detail GBB 2017. 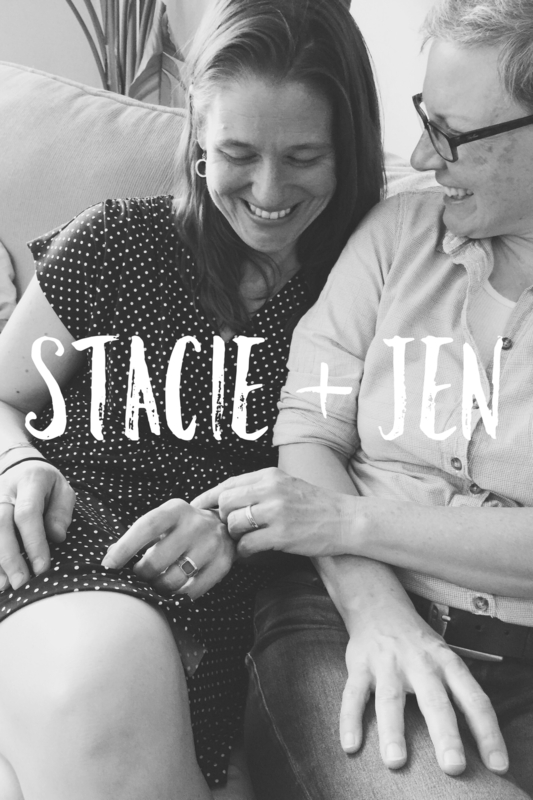 This is the story of Stacie + Jen. 2016. These two were introduced on Valentine's day (too perfect) and fastforward from there, Jen proposed on Stacies birthday. 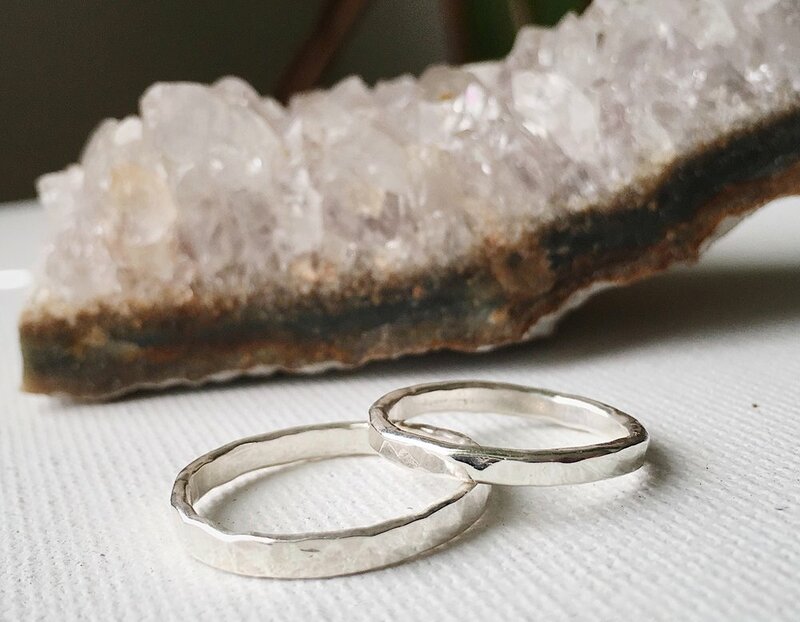 Not having an official ring yet, these two came to me last year to create a custom and unique engagement set. Stacie wanted something with a stone, Jen wanted hers to be a simple, clean, band. And with the wedding coming up in June, they came back for wedding bands to match. Stacie's: Square cabochon green Jade set in sterling silver with a double band. A heavier gauge wedding band, light hammer detail, sterling silver. 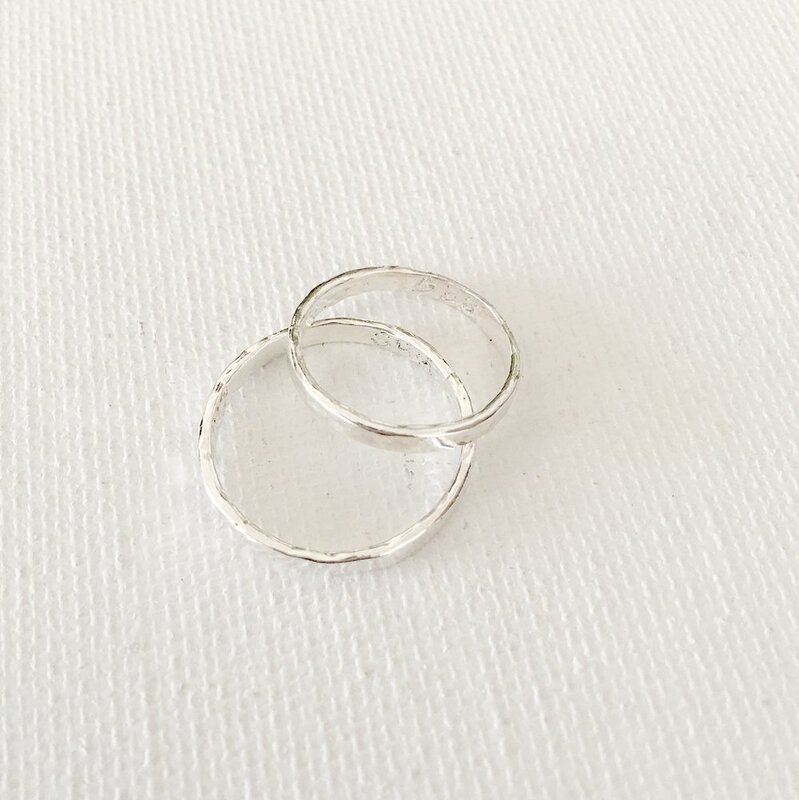 Jen's: Simple sterling silver band, hammer detail, polished finish. And to match, a heavier gauge wedding band, light hammer detail, sterling silver.